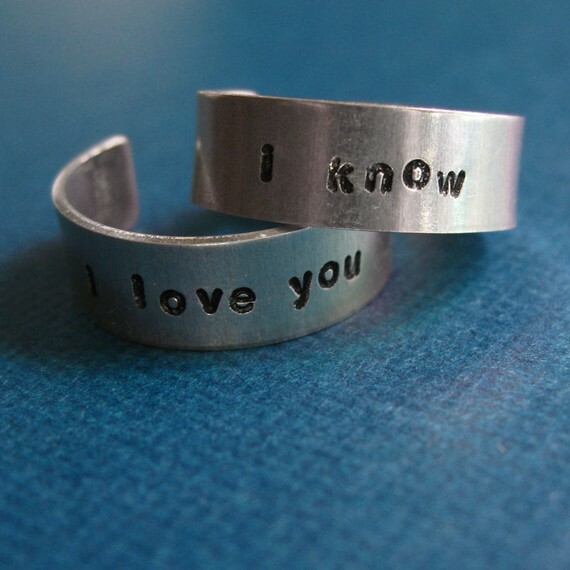 We came across some really wicked geek jewelry today and put them all in one handy post for you to browse! 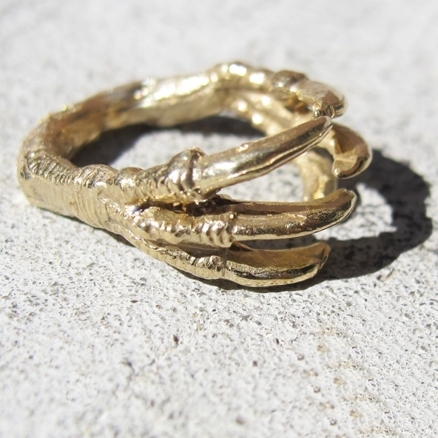 Above is the Dino Hug Claws ring by Verameat, if you’d like some dinosaur claws wrapped around your finger. 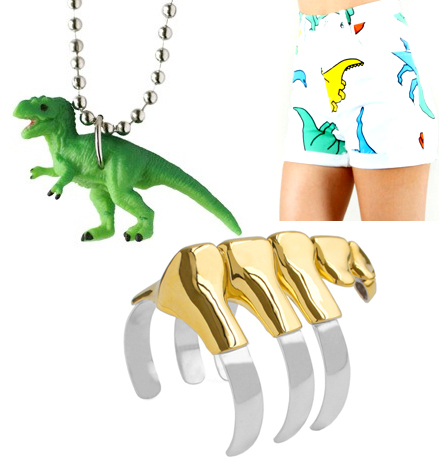 Like dinosaur chic? Click through for shorts. Dinosaur shorts. What we noticed about these shorts currently featured at Nylon was 1. Those are ’90s colors. 2. You need to be a child to wear them, but you need to be an adult to afford them. Because they cost $96. But the necklace and cuff are pretty awesome! 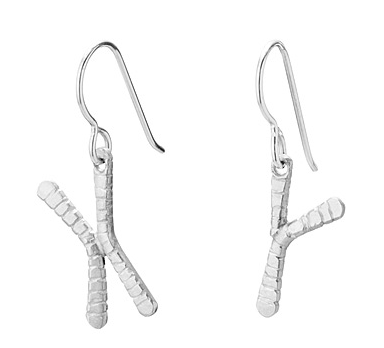 Uncommon Goods has these dainty chromosome earrings, sold individually. “I know” > “Ditto”. Discuss. 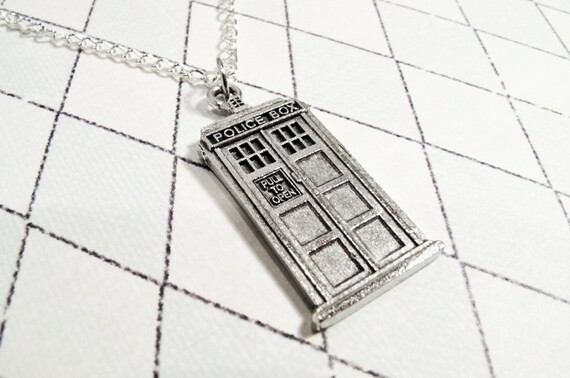 And in some universe, this TARDIS being sold on Etsy is made to scale.